A family run business established in November of 2004. At Nici Automotive we have over 23 years of mechanical experience and plenty of education and believe our strengths are offering our customers a friendly, clean knowledgeable environment where everyone will feel welcome. Whether you’re looking for someone to do preventative maintenance, offer a consultation on a car being purchased, soup up that race vehicle or fix a broken one we are the ones for the job! 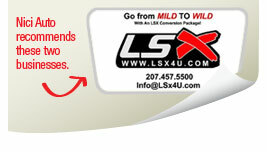 Did you know that you could maintain your new car warranty here? Some car owners fear that they'll void their new car warranty if the new car dealership doesn't service the car. According to the Magnusom-Moss warranty act, you can have your vehicle serviced by any competent independent service center, and still maintain your warranty. 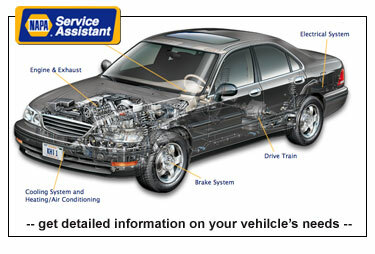 In addition you can use any name brand, quality parts to service your vehicle.